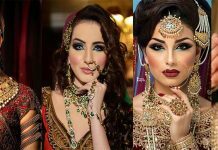 Wedding day is not only important for women but also have same importance as a men have, girls have not only to go for shopping to buy perfect dress and jewelry for her big day. 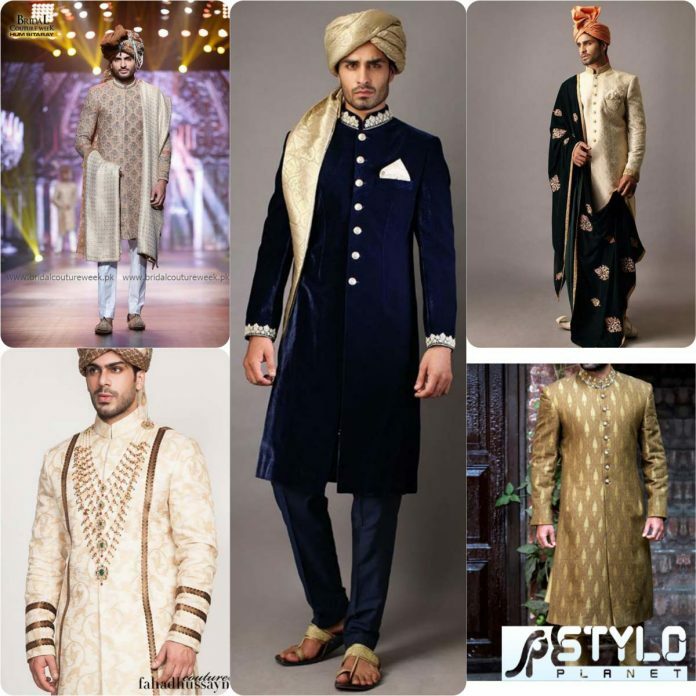 Nowadays, men consider this day and their apparel for their Big day more seriously. 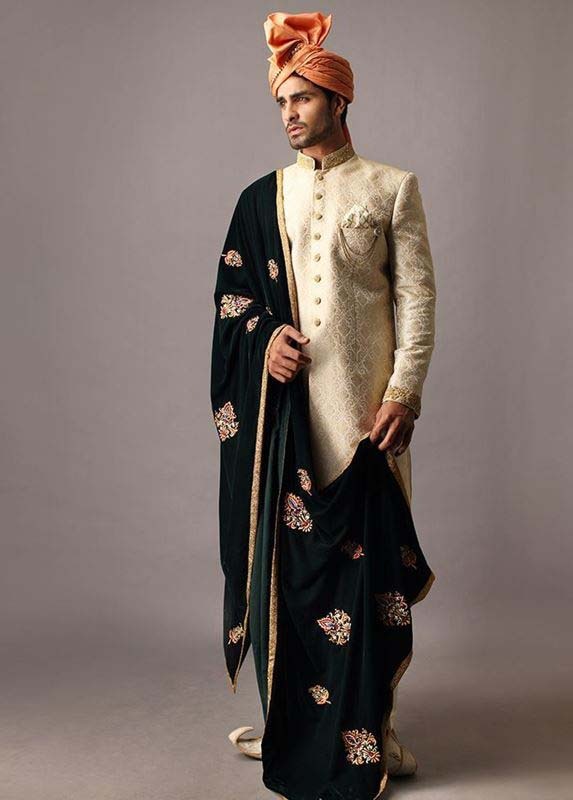 Some grooms seems more conscious about their dress as compared to girls. 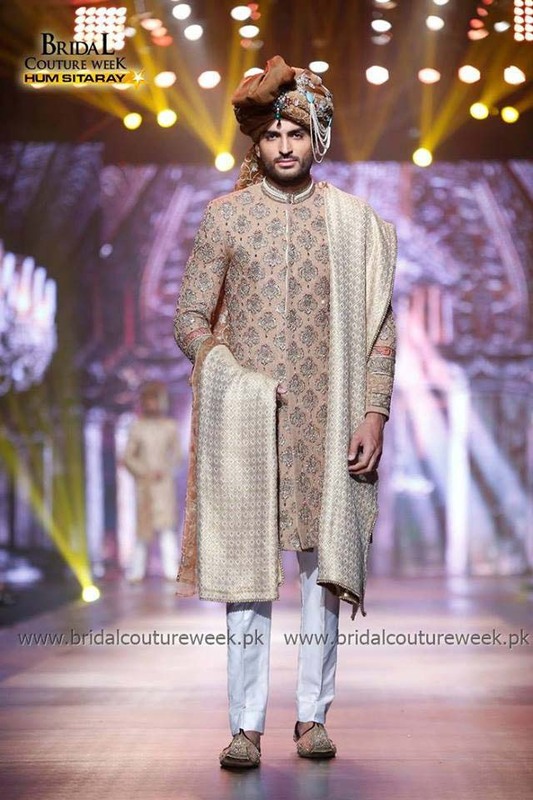 Many brands and designer every year launched their stunning collections not only for brides but also for men. 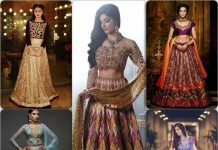 Pakistani expert fashion designers make it possible for them to get latest and chic variety under one roof. 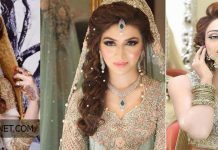 Everyone wants to look perfect on their big day as they wait for a long time for this special event to mark their new stage of life with their significant others. 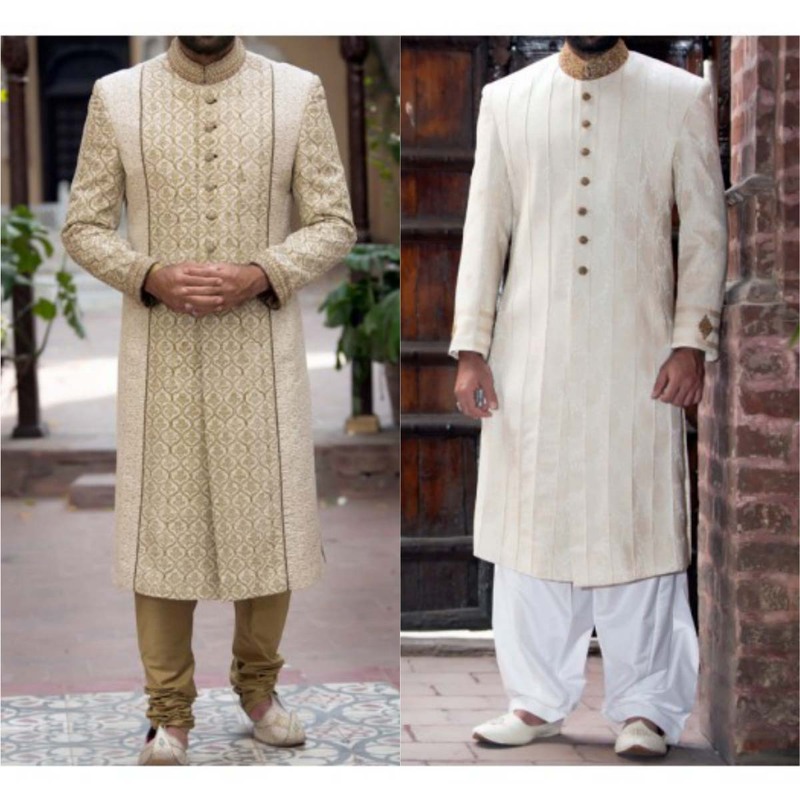 Over a years ago, guys didn’t paid much attention to wear sherwani’s and something other, they only love to wear white dress. 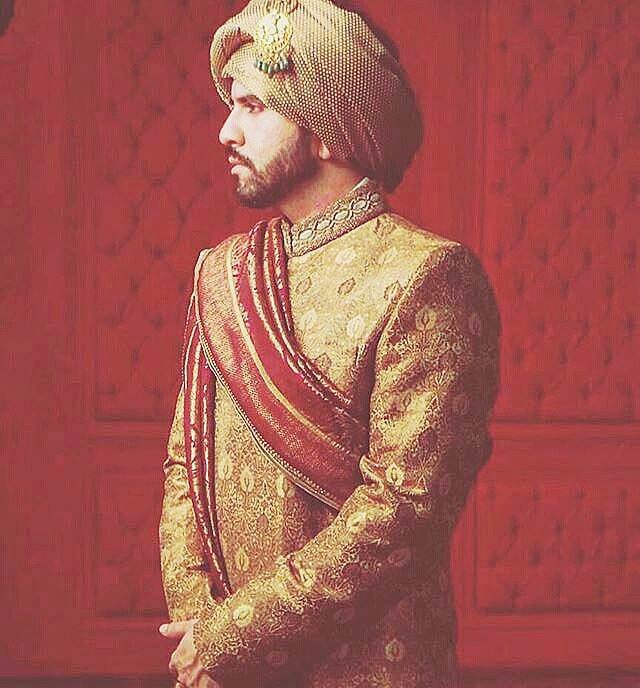 But that time and trends were old, now this era has totally changed the taste or everyone and they want to look like Royal Emperor. 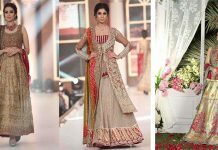 Here is Pakistani Designers Groom Wedding Dresses Latest Collection 2016-2017 in stunning variety. 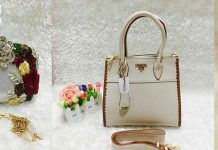 Either you want something traditional or something unique, you will have wide variety to choose from. 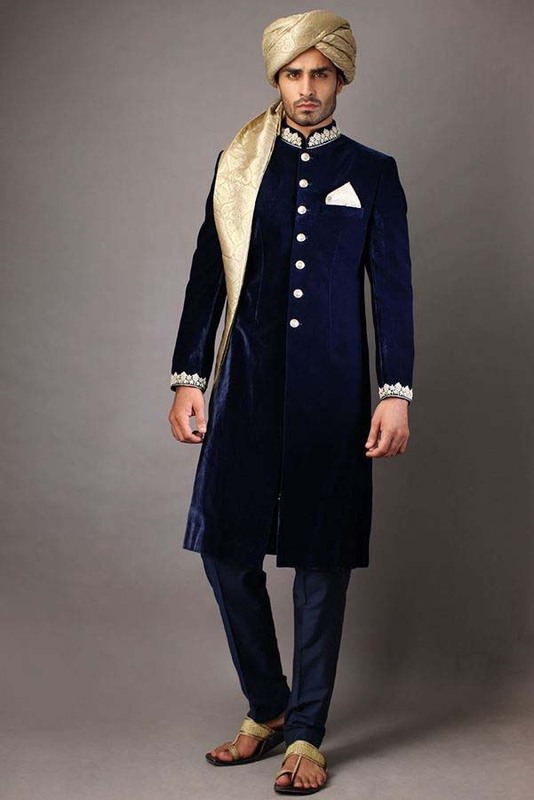 But if you want more deviations in your sherwani or suits other then sherwani, our brands will not disappoint you by there vast range. 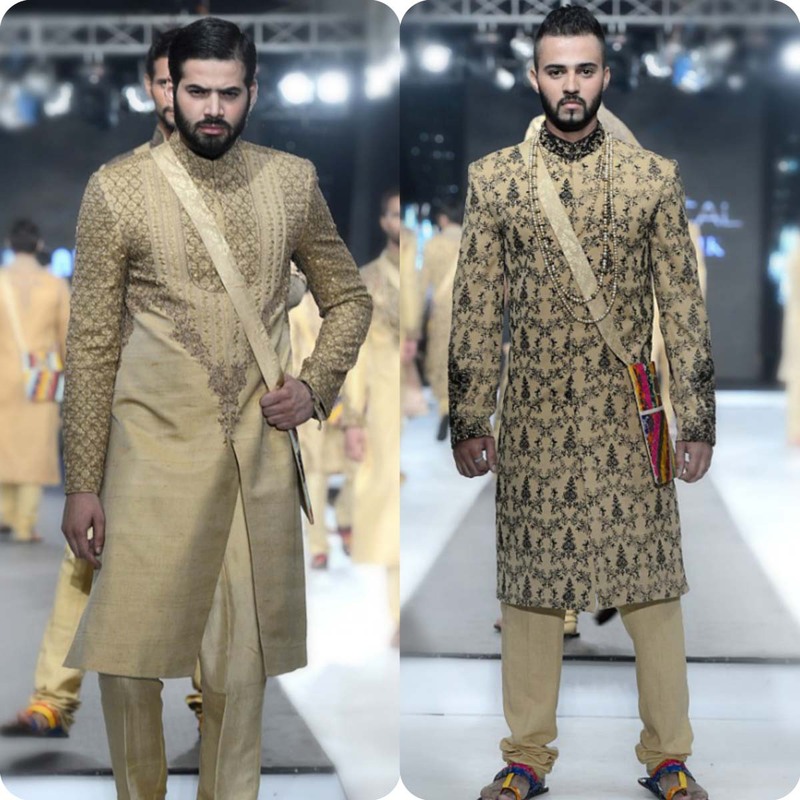 Because some boys don’t like to wear sherwani and some of them like it very much. 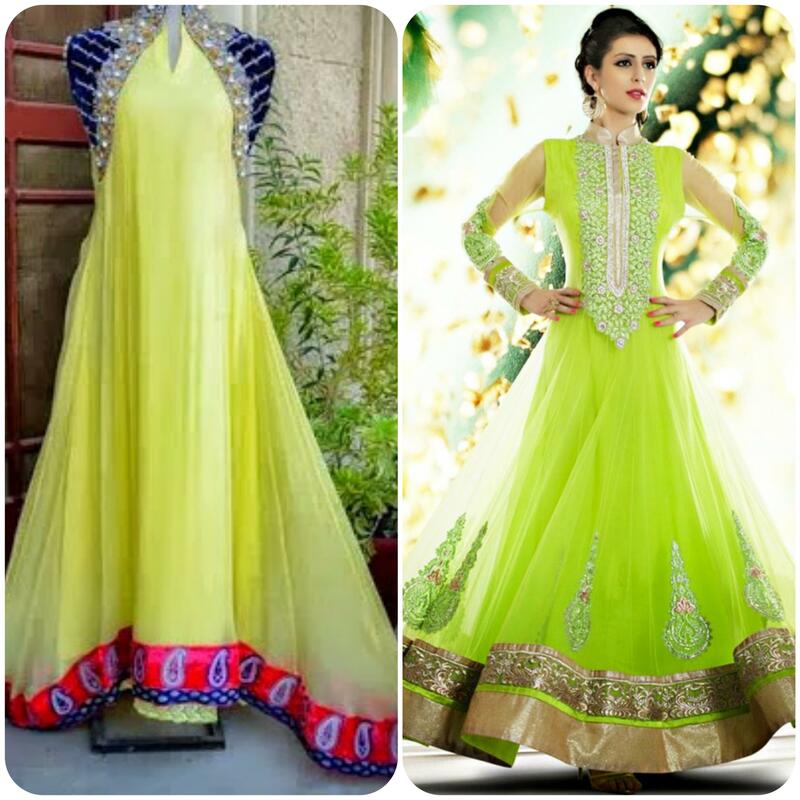 It completely depends upon our traditions and latest trends. The perfect attire always a wonder for you! 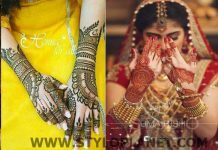 Ans wedding otfit is just important because you know someone have said that “Accessories makes the outfit”. Tops names you want to consider more important include Deepak Perwani, HSY(Hassn Sheryar Yaseen), Junaid Jamshed, Mohsin Naveed Ranjha, J. (Junaid Jamshed). 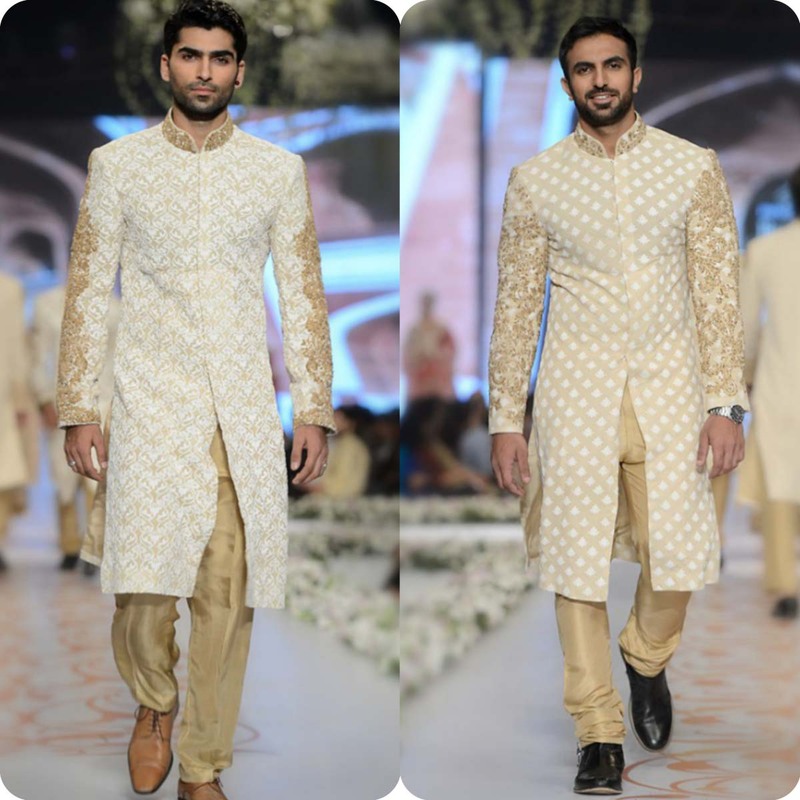 Lets have a glance Latest Famous Wedding Wear Sherwani and Suits Designs for Groom 2016. 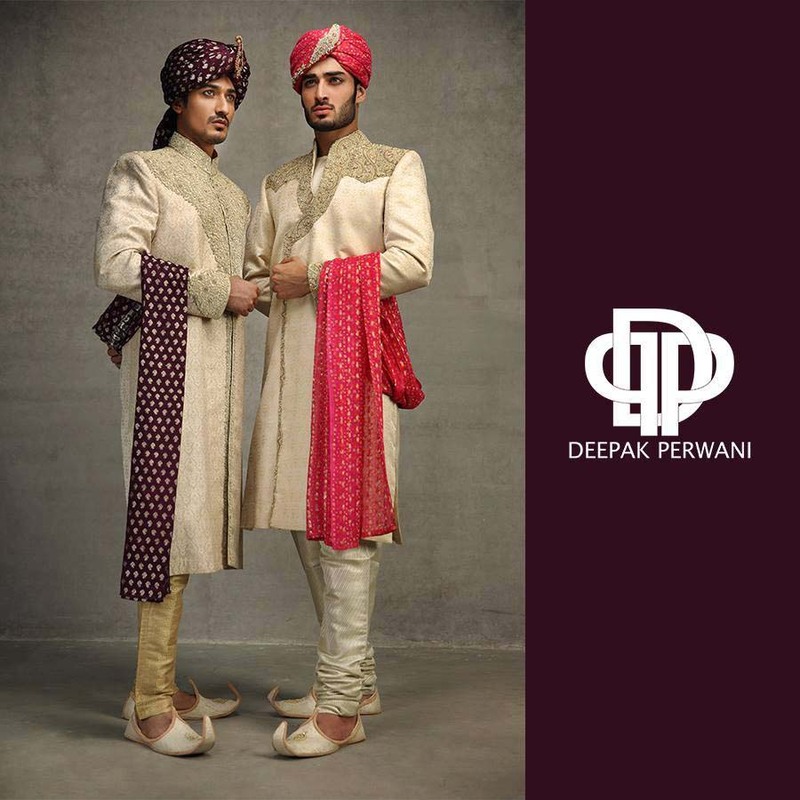 Talking about Mughal emprors and royalty, how can we forget a big name Deepak Perwani, he has makes it name after great hard work. 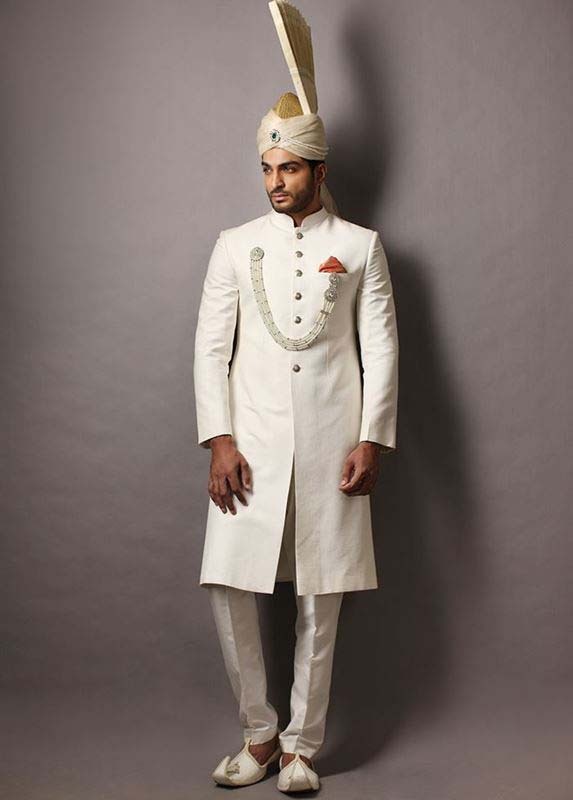 You count for on hi, for regal dresses and sophistication on your biggest day. 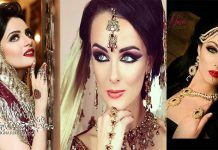 He never fails the requirements of their beloved customers with their spectacular work. 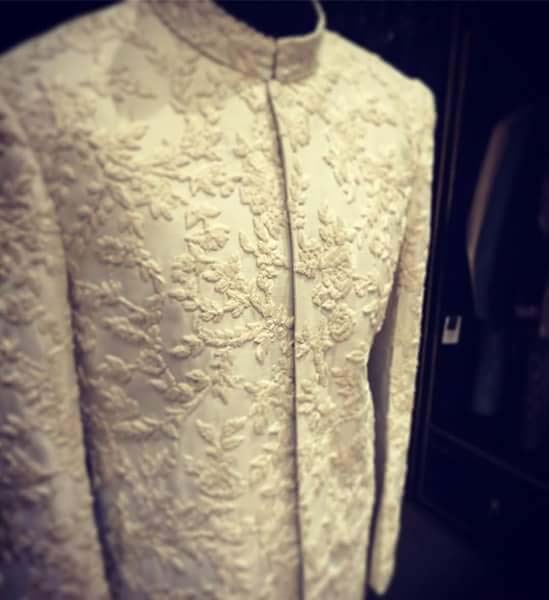 He creates a magic in every piece whether its bridal collection, formal wear or pret wear. So have a look this majestic images. 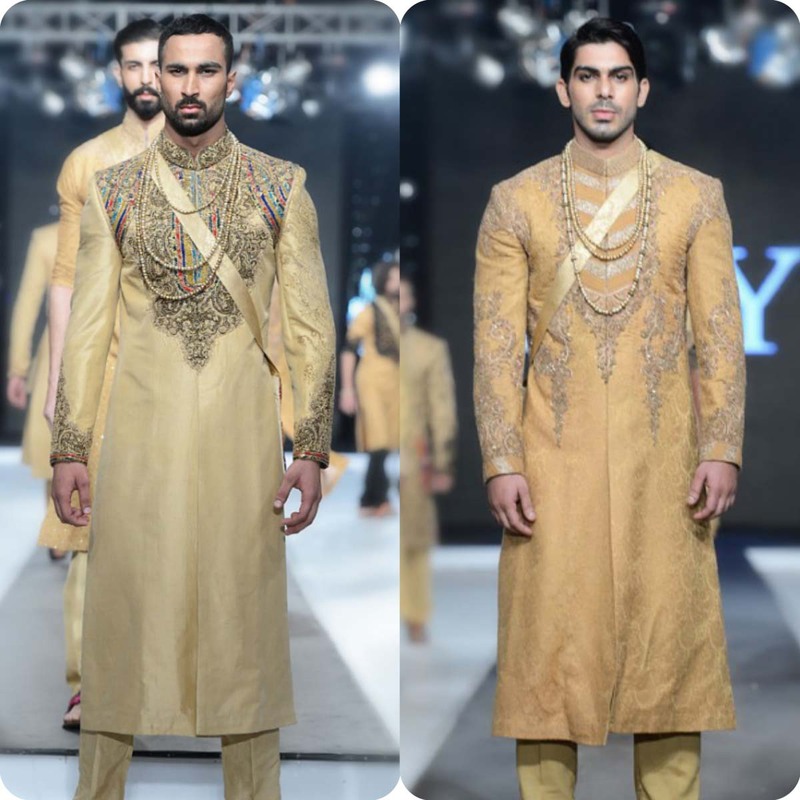 Fahad Hussayn is one of the undoubtedly successful and highly distinguished designer whose collection is great inspiration for men and women both at same time. He exhibits it embroidery and creativeness in market every year. You can see wonderful patterns in beige, blue and off-white. 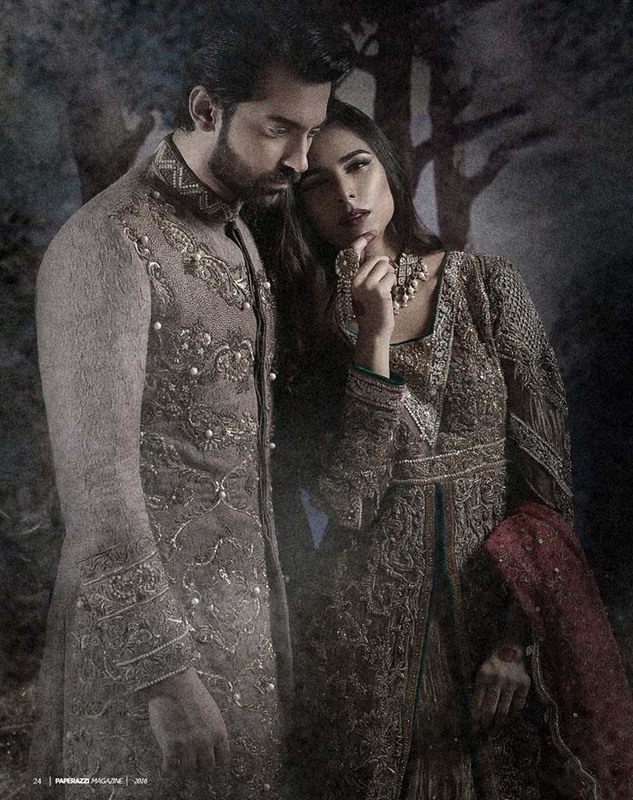 Hassan Sheheryar Yaseen, the king of Couture one of the biggest name of Pakistani fashion industry. He has established himself in last few couples of years and now became the King of Industry, he is not only famous in Pakistan but also at international level. He is now come up with stunning prints and designs this year. 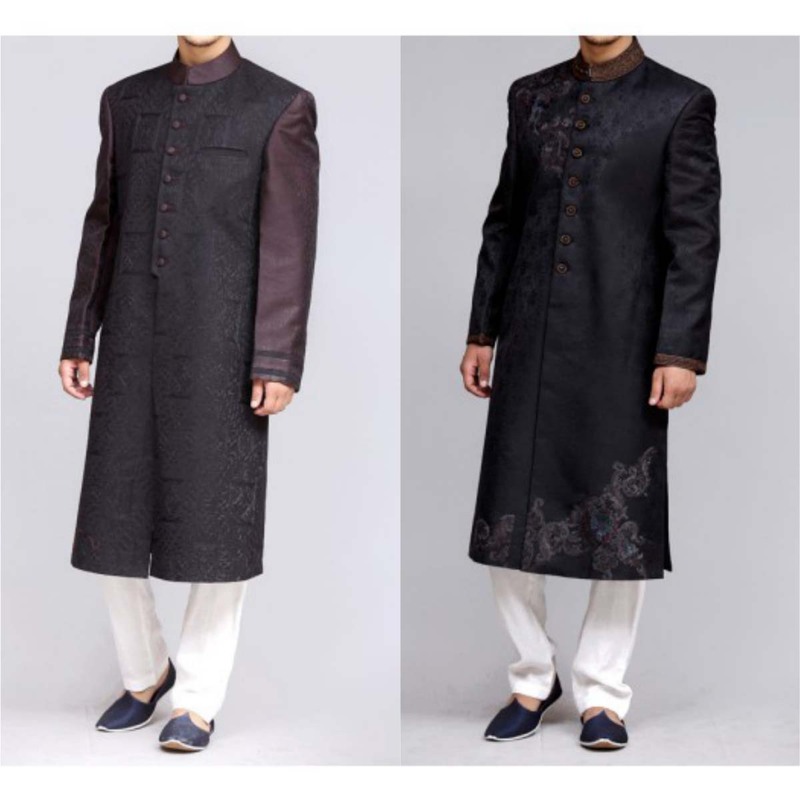 It could by churdiars or straight pants with Kurtas or Sherwani, this assortment has made them to feel like a emperor. 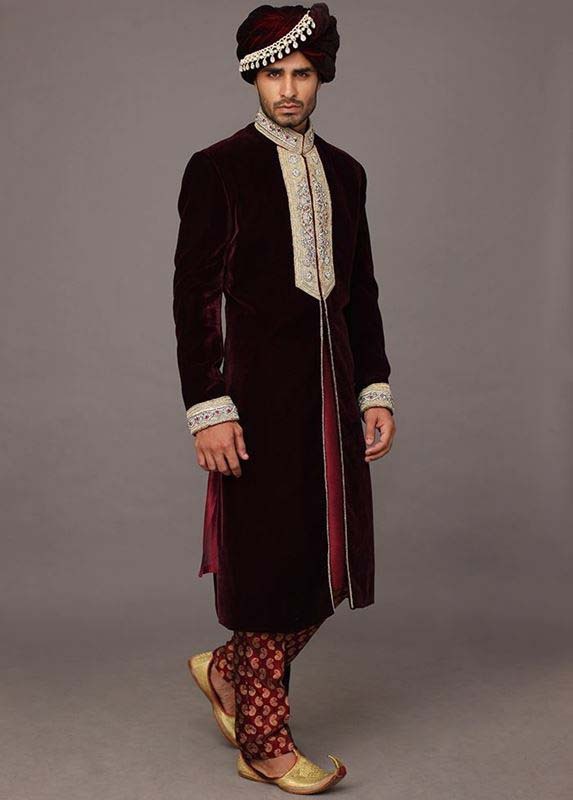 This royal regalia give much emphasis on embroidered work and geometrical design on neck, sleeves or full length of Kurtas. 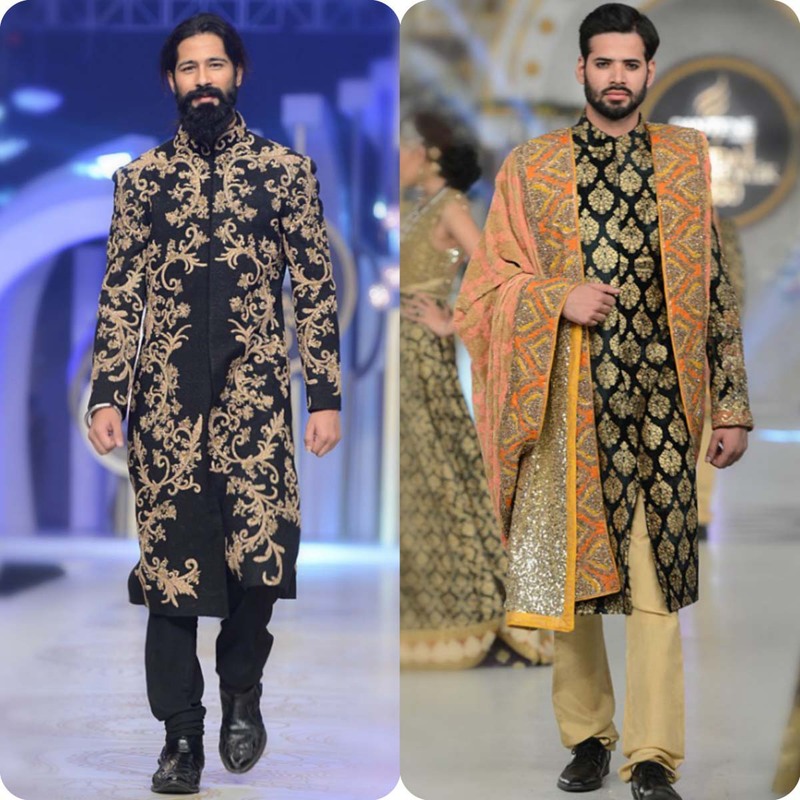 Another famous name “Moshin Naveed Ranjha” is here with its wonderful assortment.You don’t have to wait for any other piece when you have Moshin Naveed Ranjha groom wear. 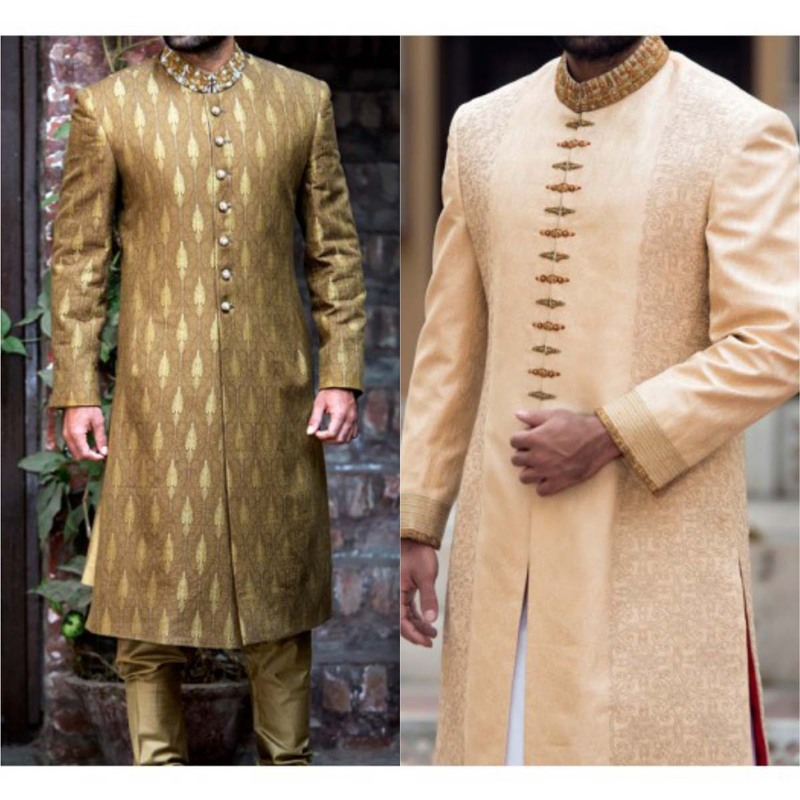 The sherwani’s have best score when we compare it with others. 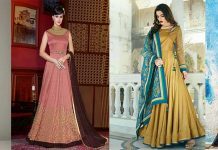 Not only these designs are charming and attractive but also color combinations and embroidered patterns catch the attraction of other and makes you able to stand in crowd with confidence. 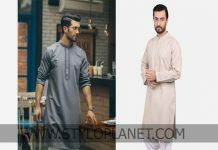 J.J is also known as Junaid Jamshed has not only delights for women but also have surprising for men like formal wear, party wear or for wedding occasions. 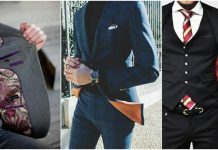 His splendid designs and cloths make your day more memorable and perfect. He knows how to make balance between colors and patterns. 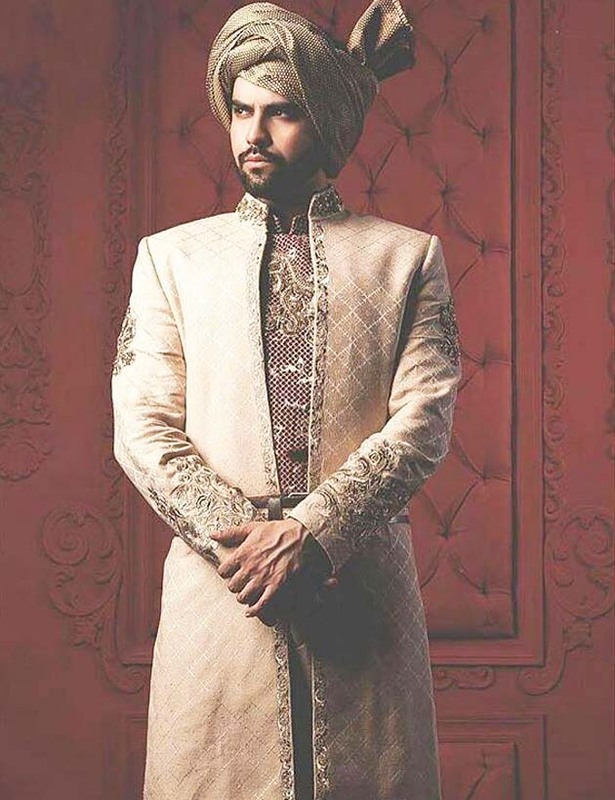 His collection is amalgam of cultures, delicacy, grandeur and traditions. So lets have a glance at this assortment. 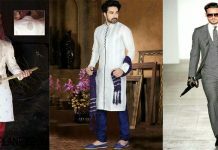 Wedding season again at its peak, everyone wants unique and distinctive designs for their big day, So here is designers latest wedding collection for groom 2016.